Legionella PCR testing using Polymerase Chain Reaction (PCR) techniques is one of a number of ways that can be used to determine whether Legionella bacteria is present in a water sample. With the ability to get same day quantitative results, some industry experts believe it is the legionella test of choice when there is a possible outbreak of Legionnaires’ disease, where time is critical and analysis results are needed fast. Compared to culture analysis, where variability within and between laboratories can sometimes be high, Polymerase Chain Reaction results are very sensitive, accurate, precise and reproducible, with results being obtained (in theory) from a single fragment of DNA. With PCR you are also able to measure the DNA for both viable (live) and non-viable (dead) Legionella bacteria, whereas with culture analysis, you are only able to measure viable legionella. Whilst most laboratories using legionella PCR techniques are able to identify L. pneumophila as part of their legionella testing, Polymerase Chain Reaction testing cannot individually identify the 50 plus species or serotypes that may also be colonising a water system. Because of this, whilst PCR is sufficient to confirm whether there is Legionella bacteria present in a sample, it is not sufficient to determine the actual source of contamination. To do this accurately, it is necessary to utilise strain identification to compare whether the bacteria in the environmental samples match the bacteria in the clinical samples. With PCR, there is also the potential for sample matrix effects. Unless samples are processed correctly, false negative results can be caused by common divalent catIons in A sample such as silver, magnesium and the divalent form of copper. All labs using Polymerase Chain Reaction should have a strict quality assurance programme in place that includes sample matrix, positive and negative controls. If you would like to know more about legionella testing products, methods and techniques don’t hesitate to contact us here at Legionella Control International. We are world leading experts in legionella risk management and provide companies with independent and impartial advice and services relating to risk assessment, legionella testing, control, management and the prevention of Legionnaires’ disease. 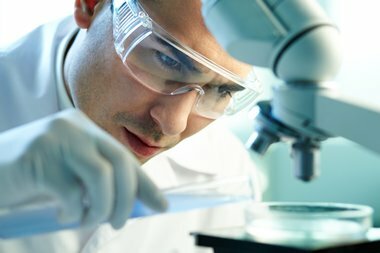 All of our consultants, engineers and technicians are fully trained and competent in legionella control activities, and the laboratory services that we use are UKAS accredited and operate to the highest technical standards, and are all staffed by highly qualified microbiologists and laboratory technicians. All of our testing results are provided with original UKAS certification as required by the Health and Safety Executives ACOP L8 document, giving you both full transparency and a robust audit trail.